I’m delighted to be able to tell you that my new album, ‘Walking in the Wild Land’ is out now. It’s available here and I’ll be showcasing it at a one-off special gig on Thursday 5th April at the Eel Pie Club in Twickenham, London. Hope to see you there! No matter that Jim McCarty formed bands like Renaissance, Box Of Frogs and Shoot, he’ll always be best known for his past and present time behind the kit with rock innovators, The Yardbirds. However, as it’s easy to see from what the drummer, singer, acoustic guitarist and song writer did in between times, there’s much more to this man than being the rock steady beat behind hits like “Heart Full Of Soul” or “For Your Love”. 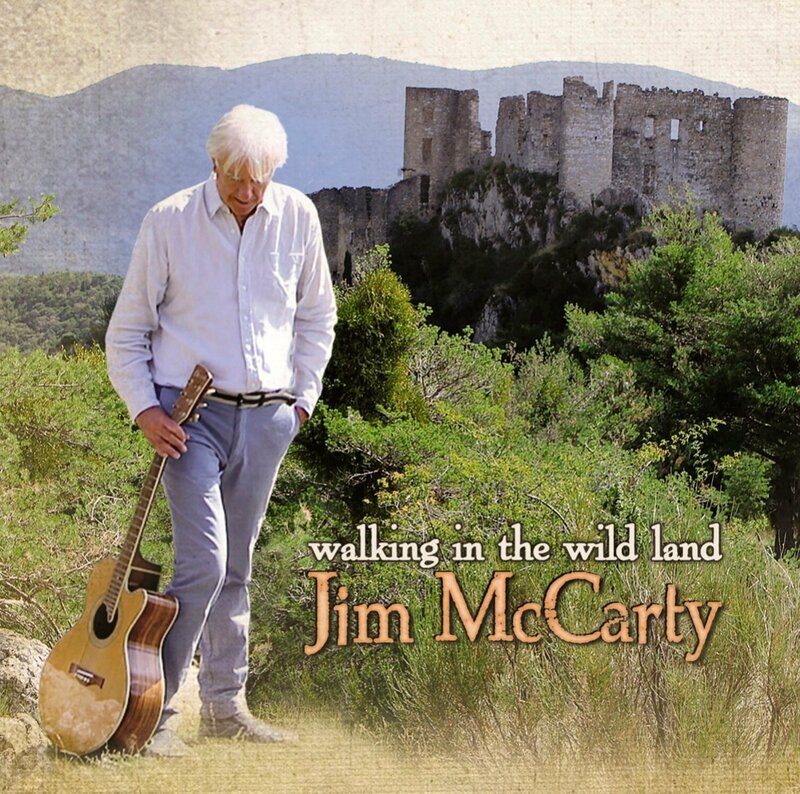 Waking In The Wild Land is McCarty’s third solo album – the first coming, in a career dating back to 1963, as recently (and long ago) as 1994 – and it provides quite a journey. Even though he reformed The Yardbirds in the nineties, to expect Walking… to be the jagged, raw pop rock of old would be unwise and it’s to McCarty’s credit that he completely avoids retreading old ground here. Instead he serves up crafted, gentle American rock that you could imagine Neil Young providing if he took a chill pill. The vibe is easy, but the substance is too deep to blow away on the breeze, instead the likes of “Stop Living life In The Past” billows proudly as it stands up strongly against the stiffest of storms. The message is clear, live for the now, remember the past, but don’t long to still be there – and from a man with such a heritage, it’s a powerful reminder. “Connected” adds a jaunty Britishness to proceedings, The Kinks maybe brought to mind as piano insistently burrows deep below the song’s surface, whereas the slow and considered “Charmed” alludes to something a little more 70s, Guido Basso adding a subtle and beautiful flugel horn solo to the strum and hum of the song itself. Rush’s Alex Lifeson shows up on the classy sting of “Soft In A Hard Place”, lending a surging guitar solo and ‘synth guitar textures’ to the meander of organs from Tom Reynolds, while George Koller offers up well placed bass runs, as he does throughout. Although it’s the mellow almost Harry Nilsson like opening title track and echoing, involving and beautifully violin infused (by Drew Jurecka) “Changing Times”, which really illustrate the class on show. With a huge catalogue of work behind him, it would be easy for drum legend Jim McCarty to simply rest on his laurels and hark back to days of yore. Instead he’s taken some classic themes and invigorated them with an enthusiasm and love of the here and now. It may be gentle and soothing for most of its duration but when Jim McCarty goes Walking In The Wild Land, it’s a trek you should join him on, every step of the way.